I was watching a bit of BBC Breakfast, (seriously Channel 4, how many times can you expect people to watch Everybody Loves Raymond and Frasier?) They were running a piece about loneliness in parents; their particular focus was on new mums. It got me thinking about my own experiences; even though mine are now 7 and 6; the issue is still a factor for me, but in different ways. I am in no way offering advice about how to avoid loneliness in parenting, as I truly believe that as a parent you do whatever works for you to get through each day. I am just going to talk about how it was for me. My first maternity leave started a bit early for me. I have always enjoyed the freedom (there is that word again) and variety of contracting / temping, so I chose this employment route during my pregnancy. Foolishly, not realising that employers were not keen to employ heavily pregnant women. I even met one manager who told me quite openly that she avoided employing parents as much as possible, as she found them to be unreliable. She was a mother, so I hoped there was an element of humour in the comment, but I am not sure there was. To be fair on the employers, I was pretty pathetic during my first pregnancy, if I could have wrapped the bump in cotton wool and stayed in the security of a bubble, I would have. It’s a story for another time, but I was convinced that my baby would not come home with me. I didn’t really know in what way I thought this would happen, but it meant that I was terrified throughout the whole pregnancy. So for me the loneliness set in early, I didn’t have that lovely work social circle to wave me off to maternity leave. My own friends were either busy with their children, or their work / social lives, so I started to feel before DD1 was even born, that my life was in for a big change. She arrived, beautifully healthy, and came home to the initial buzz of visitors, medical appointments, phone calls, messages; all the stuff that happens after the first one, but is much less enthusiastic the 2nd time round. Then her Dad went back to work and the door closed to silence. I was so used to being busy and having my day planned out with either work or social life, this sudden void appeared in front of me. There was constantly something that needed doing and a routine soon started to form, but it was nothing like the routine of going out to work and most of all, much of it was just the 2 of us. I had worked from home in the past, but it was not something I really enjoyed; far too easily bored and distracted, I needed the work environment to keep me going. I bonded really well with my first baby and felt that total glow and euphoria that I had heard about. She was my world and I could not contemplate leaving her to go back to work, so in some ways I was glad that I did not have a definite end to the maternity leave. However, I did go back to work after 11 months, already pregnant with the 2nd, but it was a new job, so I didn’t get the chance to form a whole new circle of friends before going back on maternity leave to do it all again. Work was different after babies; I felt different. I clock watched constantly, fearing that I would not be able to get my work done by the time I need to leave for pick up. I worried about getting the call to say she was ill and I needed to collect, or having to make the call saying I couldn’t come in because she was ill. I was so relieved when maternity leave 2 started as I didn’t need to worry anymore. It might be useful to say at this point that I have always been a shy person and struggled socially, but with a drink I could usually relax and have fun. But having children seem to magnify the shyness immensely and it became a barrier to forming new friendships. I’ve worked in many male dominated industries and often found myself surrounded by male work colleagues, though I have social circle of women, I felt less as ease with women who I didn’t know, so entering into Mum territory was daunting. I was lucky with my baby group; I can’t say I learnt any amazing insights into the world of parenting, but I met people who were going through the same thing as me. Several of them are still friends now, initially a small group of us regularly met up, and through social media stayed in touch throughout the lonely times. We did a group baby massage class at our homes. We all went to get our clay hand and foot prints done together. I didn’t sign up to the baby classes for the 2nd pregnancy, so 2nd time was a solo affair. I went off to baby massage classes with just me and DD2. We decided clay was way too painful, so chose to paint the hand and foot print, but we did this as a family the 2nd time. I kind of wished I had done the baby group again as I feel both me, and DD2 missed out on new friends. Baby / Toddler Activity Classes – way too many to name and believe me I tried a lot! I joined every baby group / class that I could find, despite my baby really not being up for it. Several of them breathed a sign of relief when me and DD1 left. She was a very lively little person with little or no respect for the structure of the class. Baby swimming was particularly painful, screaming really echoes around those small pools they use for baby swim classes. Needless to say, we did not get the beautiful underwater swimming photo; we still wouldn’t get that! A later attempt at swim classes went equally badly as she howled and groaned her way through the classes. She actually groaned constantly for the full 30 minutes, doing a sort of zombie impression, for 12 weeks. Strangely, the other mums were not that keen to enter into conversation with the psycho child’s parent. It got worse as she got more lively and disruptive; I could just feel the disapproval in the room as my child led the others astray. I remember she had a thing about fire extinguishers and was drawn to them wherever we went, this often started a toddler stampede as they all rushed to see what the fuss was about. If she wasn’t hunting down fire extinguishers, she was standing on my knee nose to nose; personal space is not something she knows much about. The main issue with baby/toddler classes is that they nearly always run only during school term times and school hours. That is because many of us parents discover that sending our children to school does not actually provide free childcare, it actually increases the cost of childcare, so we try to set up work around school hours. I too offer baby massage classes during term time (shameless plug there). But what to do between 3 pm and bedtime became quite an issue for me. At least with school holidays, I found that some of my friends were more available – being an older mum meant friends with school age kids already. Another obvious issue was the cost, I could really only justify a few paid activities a week. I can’t say that I made any friends through these groups, but for the time I was there, I felt that I was providing appropriate sensory stimulation and sometimes got a little bit of conversation out of them. I quickly worked out who I had nothing but baby talk in common with, and those that I could chat freely about life in general with. These are tricky to find, but well worth it if you can find a good one. Local baby and toddler are a great way to meet your future school gate friends, but sadly, neither of my children really took to the groups and my shyness meant I really struggled with the social side of things. I loved the anonymity of the local library ‘rhyme time’ classes though, I could come and go as I pleased, and if the children became energetic, I could just duck out without being noticed. Sometimes, people chatted, but often there would be companionable silence between us; it was just nice to get out. Relationships change post children; I had always been the late one, or the one to cancel because I had some crisis or other, but suddenly the tables turned. The most organised friends were often late, or cancelled, or just couldn’t be pinned down to a plan. Childless friends continued their child free life and weren’t always too keen to meet with child in tow. Their Dad is super proud Dad and was happy to drag his children along to meetings with his childless friends, needless to say these meetings became less and less frequent. 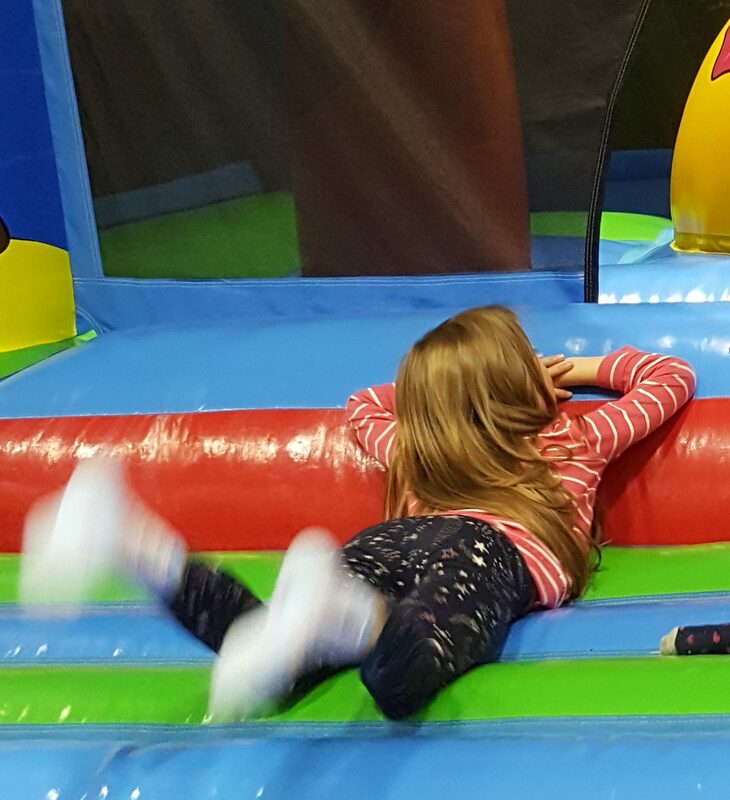 Childless outings are still tricky as we don’t have readily available childcare, so often the planning required makes it all more effort than an exhausted body can cope with. I was sometimes relieved when friends cancelled; I was so busy trying to appear to be supermum that I never wanted to cancel and look like I couldn’t cope. There were a few occasions where I went through the endless prep required to leave the house with baby, forced the wriggly one into the car seat, then got the text to cancel. I stored up those ones for later revenge when I no longer cared if I looked like supermum or not. I think I have become a massive baby / children bore though, what did I used to talk about before I had children? Must remember other topics exist. I am not a buggy fit mum, as previous mentions of lycra in my posts might suggest. But I am so jealous of those beautiful fit, post baby women, looking fit and healthy as they whoosh around the park with a calm baby in a buggy. I would have looked like a sweaty wreck as I pushed a screaming child around the circuit, begging for oxygen. I did not buy the required buggy for said exercise, mine weighed a ton and it was work out enough just getting it in and out of the car. However, it had the car seat attachment which was a saviour, being able to transfer sleeping baby from car to buggy and vice versa saved my sanity, it gave me the freedom to not care when nap time was, or rush home for bed time. Needless to say I have one child that is a terrible sleeper and still wakes us up most nights, so maybe I should have cared about naps and bedtimes! Why is exercise so expensive though? Pilates and yoga classes seem so appealing until they tell me the cost. I am there with my free YouTube options all alone in my living room, probably causing untold damage from the lack of health and safety. I think gym memberships should include free creches, even if only for a limited time. For some a necessary evil, for others a joy and escape, and for me it is just something that is what it is. There are no rules on this one; I did a long maternity leave, followed by a shorter one, after which I tried to set up my own business, I’ve done self-employed, unemployed and here I am now, waiting for employment to start. There was huge pressure to go back to work after babies, which still remains an issue as finances get stretched tighter and tighter. If I had sat down and worked out what goes into providing childcare, I would have had an idea of what the costs would be, but it came as a huge shock just what I would have to pay for 2 children to be looked after. I had just assumed I would go back to work and be this be this super organised working mum. But I discovered while pregnant with DD2 that the cost of this would be a big percentage of my salary. Hence the attempt to set up my own businesses; still a work in progress. The start of my self employed journey provided me with a great network of colleagues all in the same situation as me; new mums setting up a business. There was study and training to fit in, along with the work required to start a business. It was a fantastic loneliness buster and if only it had worked out as a business plan, life would have been much simpler. I could ramble on for hours and will write another one about loneliness and the school mum another time. I want to end by saying that being a mum is by far the best job I have even had, it provides more joy, reward, excitement and variety than I could ever have anticipated. It comes with loneliness, anxiety and stress, but for me it is a job that teaches me something new every day. I can handle the loneliness because I know that whatever I do, it is for them and they are still at that lovely age where they appreciate me! ‹ PreviousChildren’s Party Entertainers and The Big Man in the Red Suit. Thank you for taking the time to read it and your kind comments.